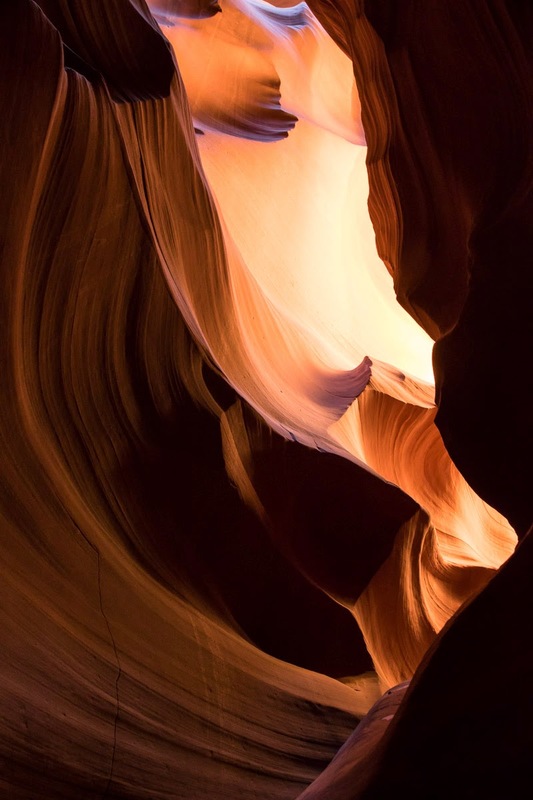 We had a fantastic trip to Antelope Canyon so I thought I'd give you some tips about getting the best shots you can out of your visit and maybe show off a few more photos. I definitely no expert, I've only visited once, in winter, early in the morning but hopefully it will still be useful. 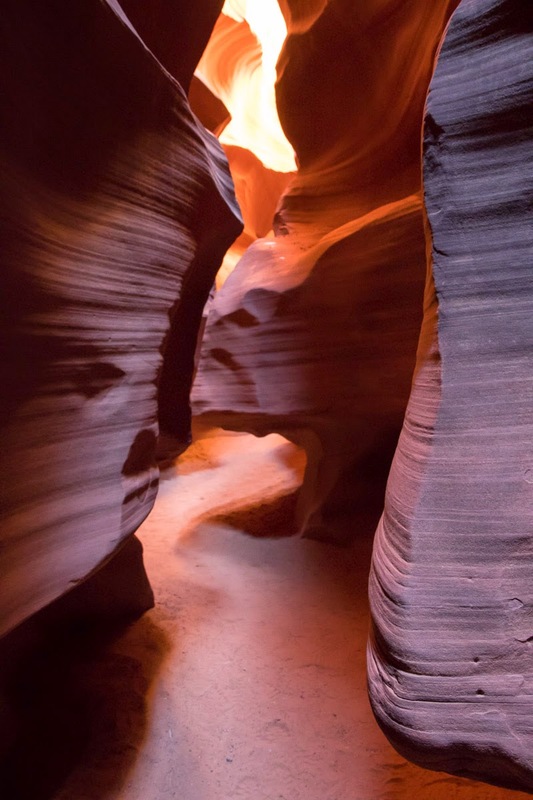 Firstly, there are two Antelope Canyon's, the upper and the lower canyon. 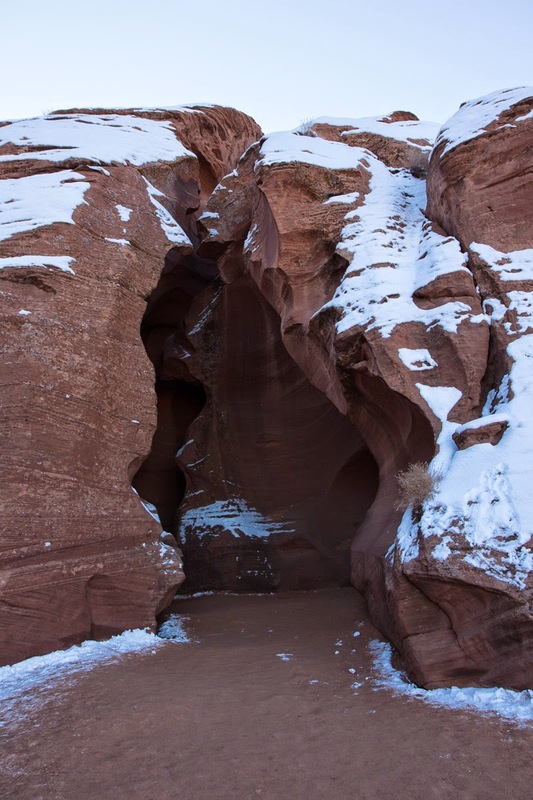 We went to see the upper which is the narrow and probably the more famous one, I've heard good things about the lower and more open canyon and the photos tours available but it was closed while we were there. Also if you want the iconic 'rays of light' photos then you need to be there in summer (or at least not winter) and pick the right times of the day (well documented elsewhere). Make sure you book your tour in advance, even in winter. 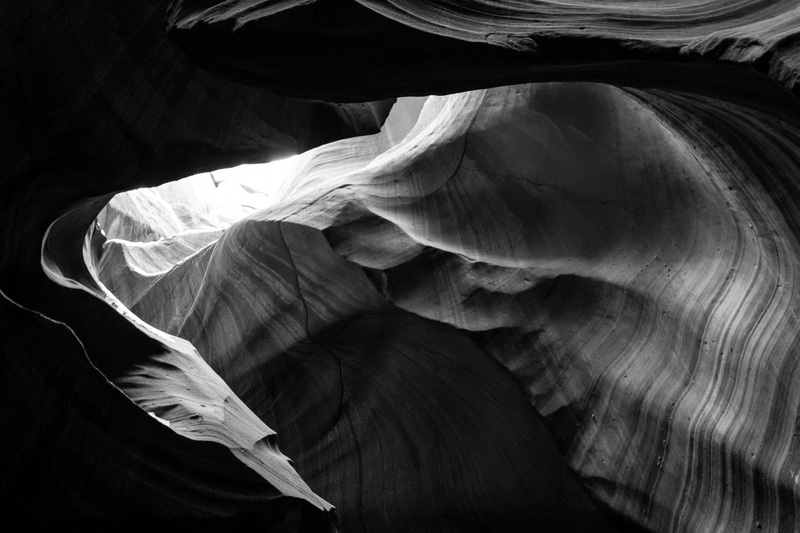 Antelope Canyon is dark! Like I said, we did the morning trip in winter (arriving at the canyon shortly after sunrise) but be prepared for it to be dark. Most of the time I was shooting ISO 3200, f/6.3 and getting shutter speeds between 1/20 and 1 second, without a tripod, although some sections are brighter. While a polariser would do great things for the colour it probably isn't worth sacrificing a stop of light for. You'll need to play with exposure compensation quite a bit so you can pick what you want to be able to see in the photo. Which brings me to the next point, stabilisation. If you take a regular tour then a tripod of any significant is going to be really tricky. You are in a group of about 8-10 potentially with several other groups moving through the canyon spaced out but a minute or two and never stopping for very long. Plus the spaces are small and narrow so it could be a pain to maneuver. You may be able to get away with a monopod otherwise you are restricted to camera/lens stabilisation and bracing yourself or your camera against the sides of the canyon (which is what I did + multiple frames of each shot). I didn't really see too many places you could use a gorilla pod either (other than the ground). For these reasons I chose to shoot with my 17-55 f/2.8 IS because it was stabilised and because I could open up the aperture if I needed some more light. All my photos were shot between 17mm and 40mm. A wide angle lens would have been nice at times but being able to isolate a part of the canyon was great as well, a compromise really (I did have my 10-22mm but I decided to shoot more and not worry about changing lenses). Look up! There's lots of amazing shapes to be seen by shooting up. The photos tend to be more abstract but that can be cool too. Note, these shots will tend to need more exposure compensation too. Try processing some photos as black and white. You can take these photos just about anywhere with some colour and saturation adjustments so keeping them natural can be a challenge but black and white is also cool and can help avoid colour issues. Finally, listen to your guide, they have some really interesting info and have probably picked up some photography tips along the way, our guide certainly knew his way around a camera. Anyway it's a beautiful place that I can definitely recommend visiting.